Harvest Fridays & Happy Easter! Hey all. Happy Harvest Friday! I’ve got a busy weekend ahead, so I’m going to jump right into it. Also, Happy Easter! Hope you have a great weekend filled with candy eggs and carrot cake. Alas, this is why we started with just a few 32-cent goldfish. We had a quick memorial service for Captain Blackfin and his friends, and then got to work on trying to fix the pH. Once we got the levels under control, a couple days later, Nick stole a couple carp from his uncle’s pond and put them in the tank. So far, so good. Our tilapia should arrive next week, and now that the water levels are stable, we should be able to keep them alive. We’re having a few issues with yellowing plants and we think it’s because there aren’t enough nutrients in the water yet (in other words, not enough fish poop). Hopefully once we get our tilapia in, that problem will fix itself. 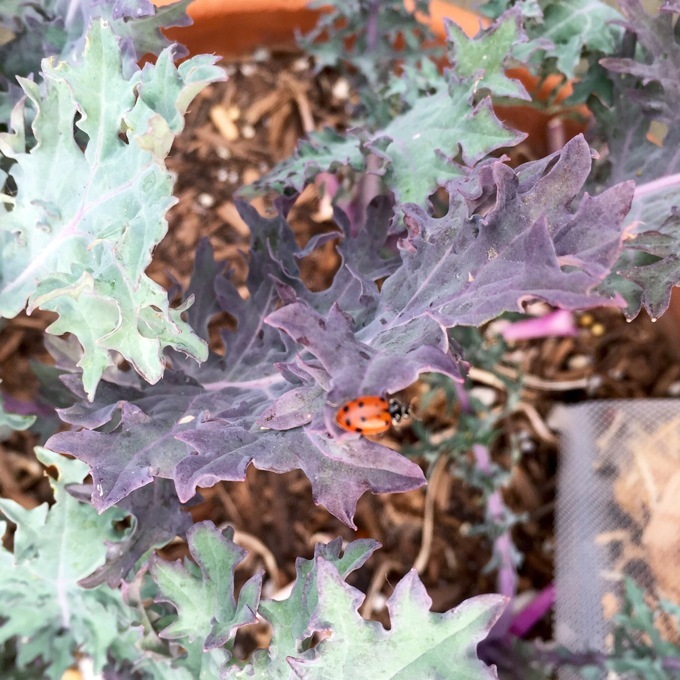 We also have some aphid issues, so we bought a bunch of ladybugs, who have been helping to control them. We’re also still using the dish soap spray I mentioned last update, along with using neem oil very sparingly. This is all a learning process! But we are definitely having some successes. Check out how big the tomato plants have gotten. We want them to turn into tomato “vines” snaking along the ceiling of the greenhouse, so we have them strung up and are removing the lower leaves as they grow so that the plants get taller and taller. Our cucumbers are also getting pretty big. We strung them up, too, and they are climbing like crazy. There are even tiny cukes all over them. They’re pretty much the cutest thing in the world. After we planted these, we realized we aren’t sure if this breed needs to be pollinated or not. Apparently some do and some don’t. 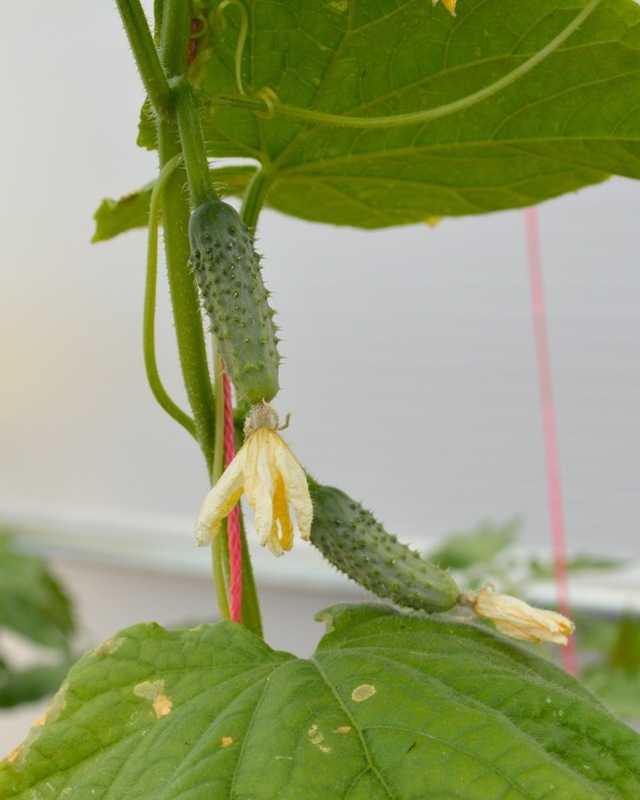 There aren’t any bees in the greenhouse for pollination, so we will have to wait and see if the cukes mature or not. The raft beds with the lettuces and other greens are still doing well, and we are eating tons of salads. 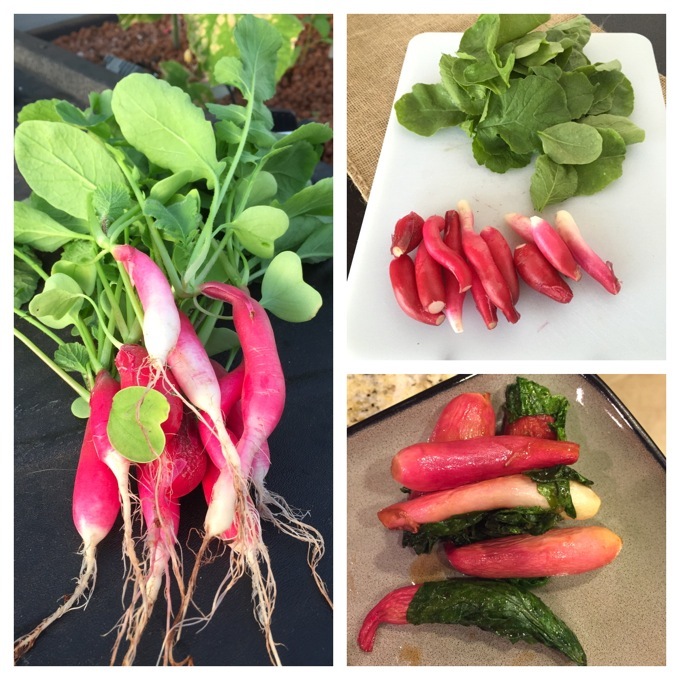 All of the radishes I planted matured and most have been picked (see the harvests below). And check out the sweet potato that we had sitting in a solo cup of water. It sprouted! Soon we’ll start removing the sprouts and planting them (outside in the dirt). 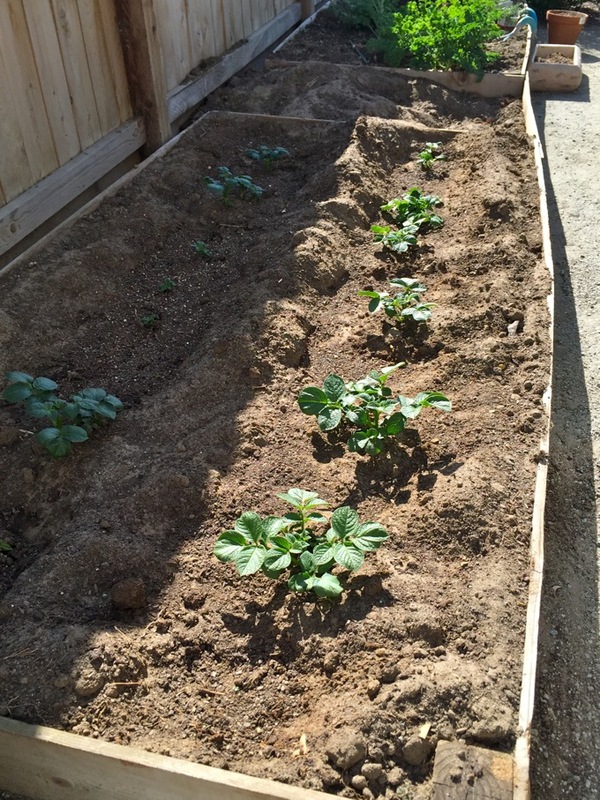 As for the outdoor garden, our biggest accomplishment over the last couple weeks was getting our potatoes planted. We planted potatoes last year and they were such a success that we decided to devote an entire garden bed to them. We bought these seed potatoes (you don’t want to use sprouted grocery store potatoes because they may have diseases). 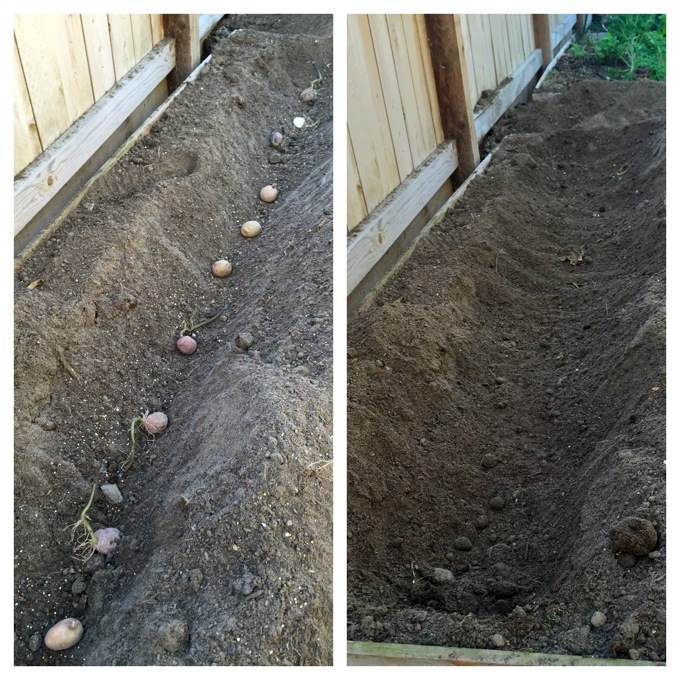 For potatoes, you want to plant them deep in a trough and cover them up with dirt as they grow. 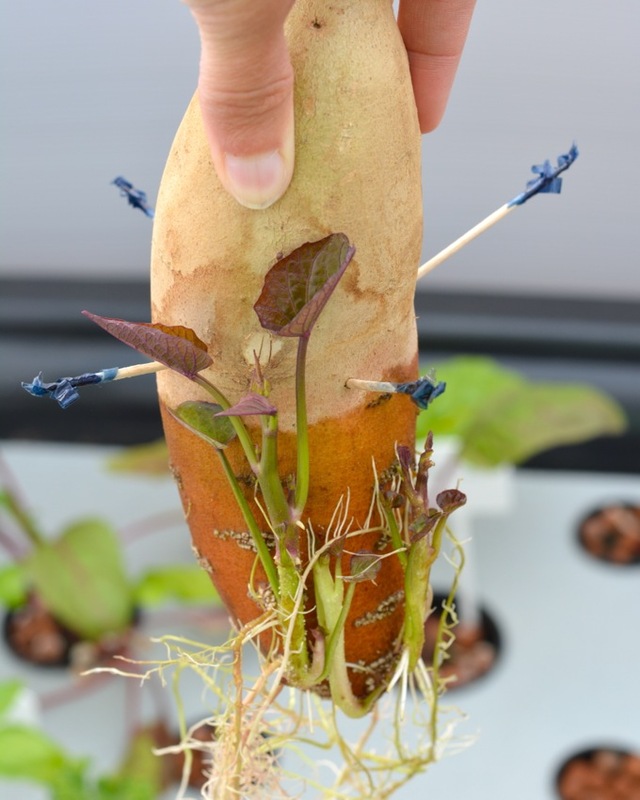 This will produce the biggest number of roots… aka potatoes. Our potatoes have already grown quite a bit. To make room for the potatoes, we had to pull out a bunch of plants. As suspected, our Brussels sprouts ended up not producing. The tiny sprouts all flowered as soon as the weather got warm. I guess it’s just one plant (there aren’t many) that won’t grow here! 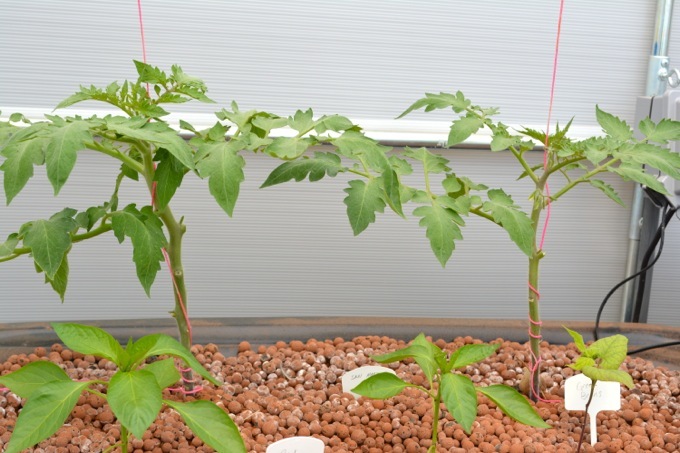 But… look how big the plants got! So sad. We probably won’t try Brussels again until we live somewhere cooler. 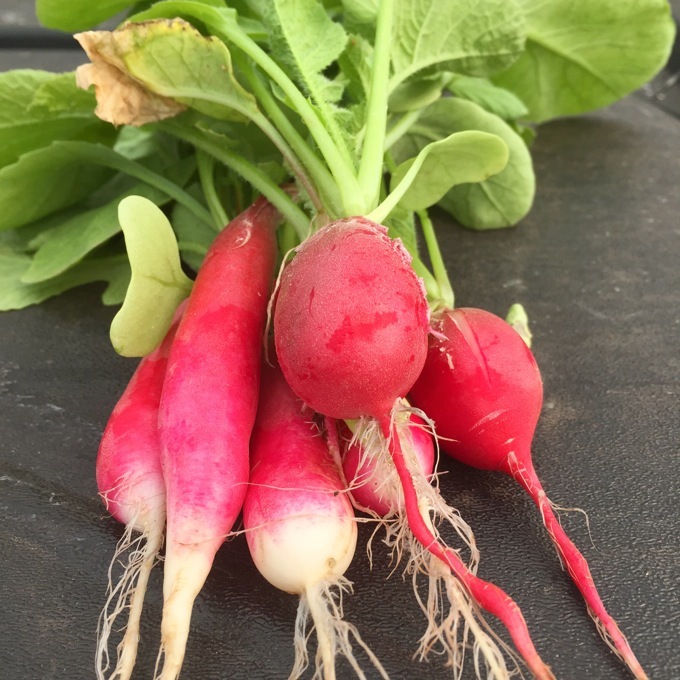 My biggest harvest lately has been radishes! 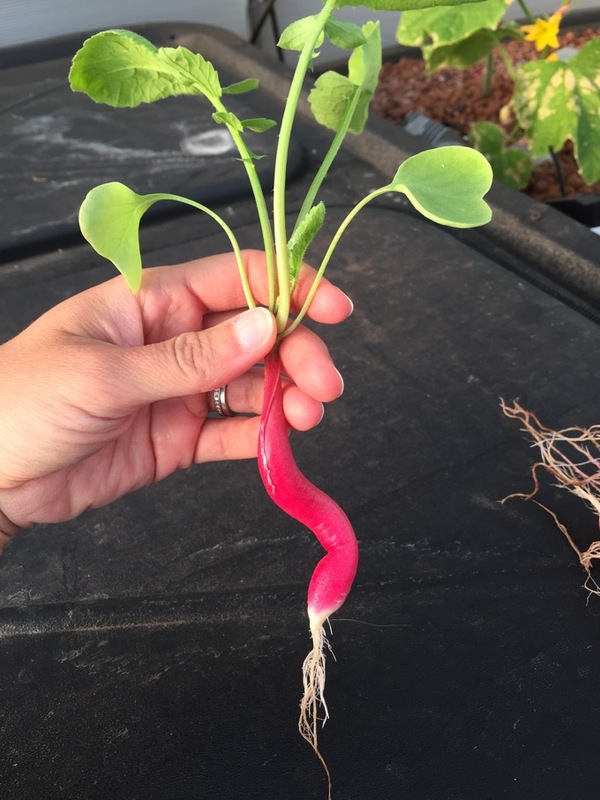 I had planted some French breakfast radishes in the aquaponics system. Despite not being in dirt, they grew like crazy. Some of them had to get creative about growing around the pebbles. You can eat both the roots and the greens, and I used both to make these Honey Roasted Radishes. Check out this gorgeous salad. 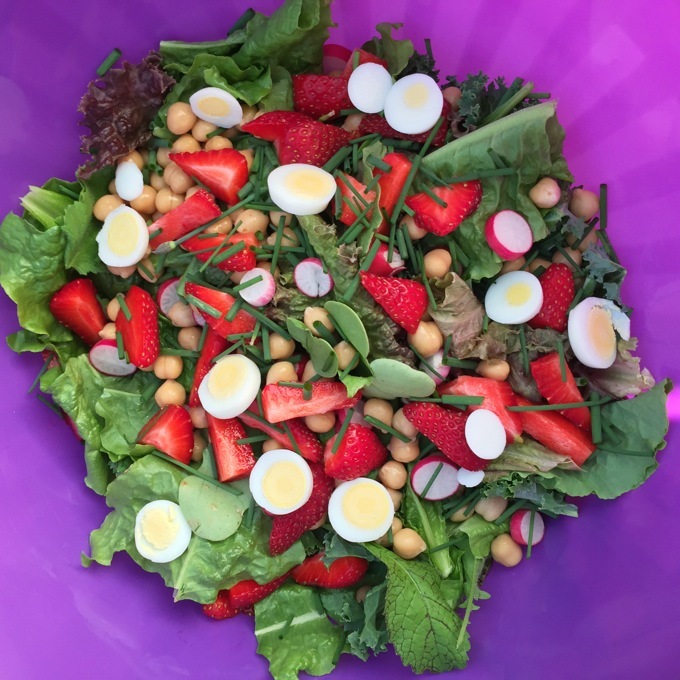 It included (from the garden) kale, red leaf lettuce, romaine lettuce, some assorted overgrown microgreens, radishes and chives… plus strawberries from the local stand and hard-boiled eggs from our quails. The only thing store-bought was the chickpeas. 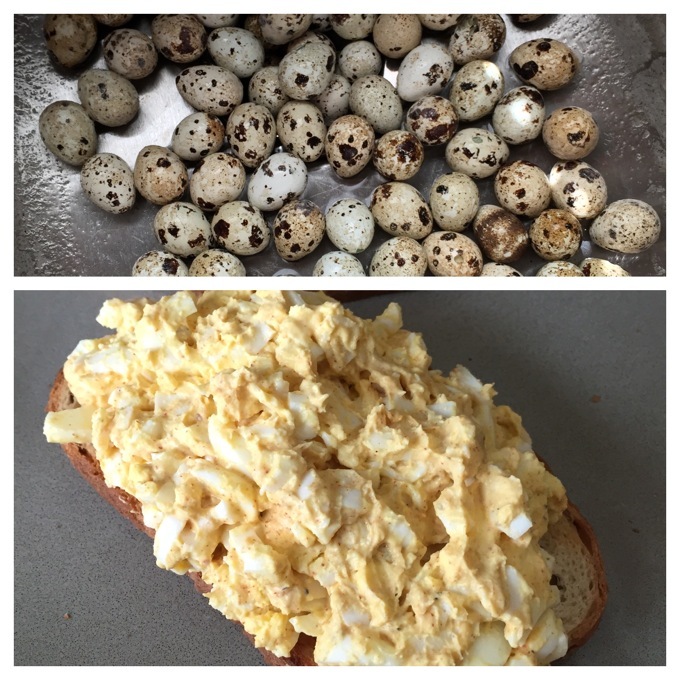 And speaking of quail eggs… now that it’s spring, the quails are laying like crazy. I had a major egg backup (despite eating omelets nonstop), so I hard-boiled a ton of them and made some killer egg salad. 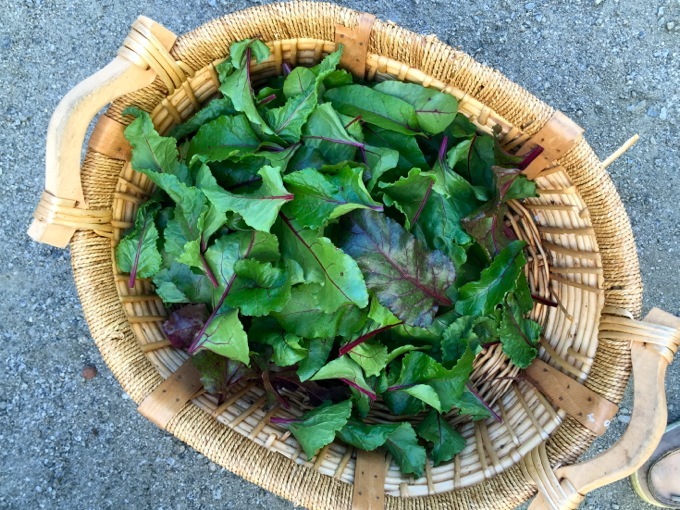 Last, but not least, I picked a whole bunch of beet leaves. We had some stunted beets that had been in the garden for almost a year and never really produced roots… but they kept the greens flowing. Since we needed to make room for the potatoes, I pulled them all after harvesting all the leaves. I blanched them and popped them in the freezer, and they’ll go into a quiche some day, used just like frozen spinach. I’m pretty excited that summer is just around the corner and gardening season is coming into full-swing! We’re working on a few other things in the dirt beds and even filling up a whole bunch of extra pots with things. I know spring has sprung around much of the country now, so… what are you planting?? Harvest Fridays - Fall is here! Harvest Fridays - Tomato Season is Here! 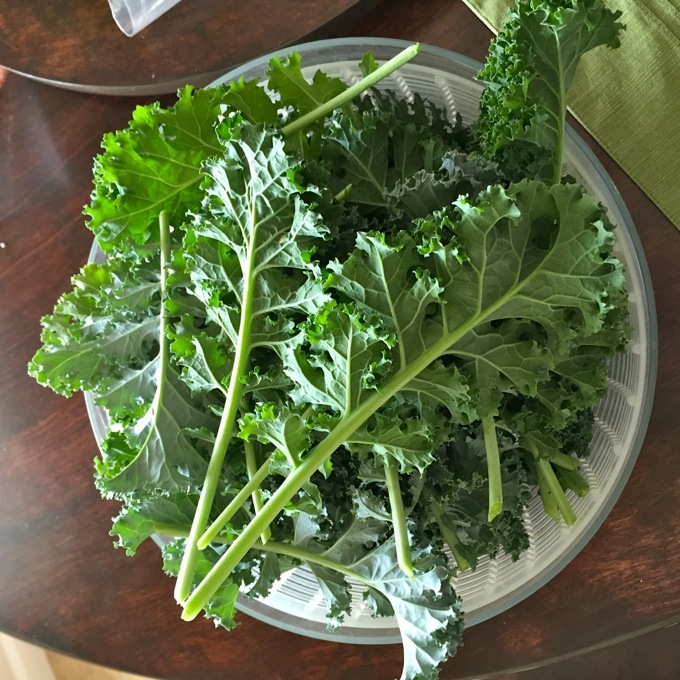 Great post – I enjoyed the updates on your gardening. Thank you! Aww man! No more snow!! Maybe some windowsill herbs?! Yep! The fish poop fertilizes the plants and the plants filter the water for the fish… it’s pretty much self-sustaining once you get all the levels right. All you have to do is feed the fish! Hope you had a great Easter, Jess! That’s too bad about your fish, but at least it’s a learning process! And your garden looks like it’s off to a great start! I love those potatoes, too! I am seriously so jealous that you already have veggies popping up! We’re getting ready to put in our spring veggies around here and I’m totally pumped! 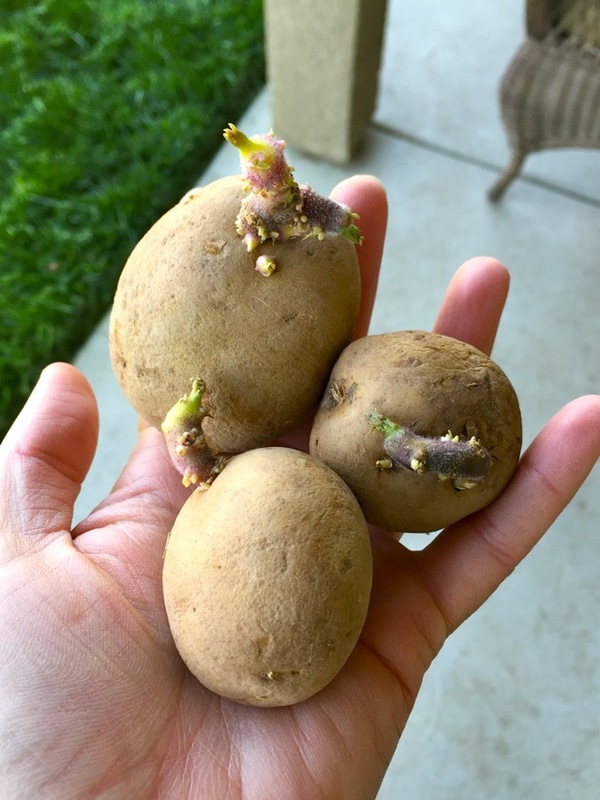 You should definitely plant some potatoes! We were really amazed at how easy they were and how well they grew. Plus it’s so fun digging them up– it’s like a treasure hunt! lol! I hope you had a really lovely Easter, Jess! I’m sorry for your fish, but let’s welcome the carp, the ladybugs and the potatoes! I love your garden! So fun! You are making me want to plant one! Thanks, Kelly! 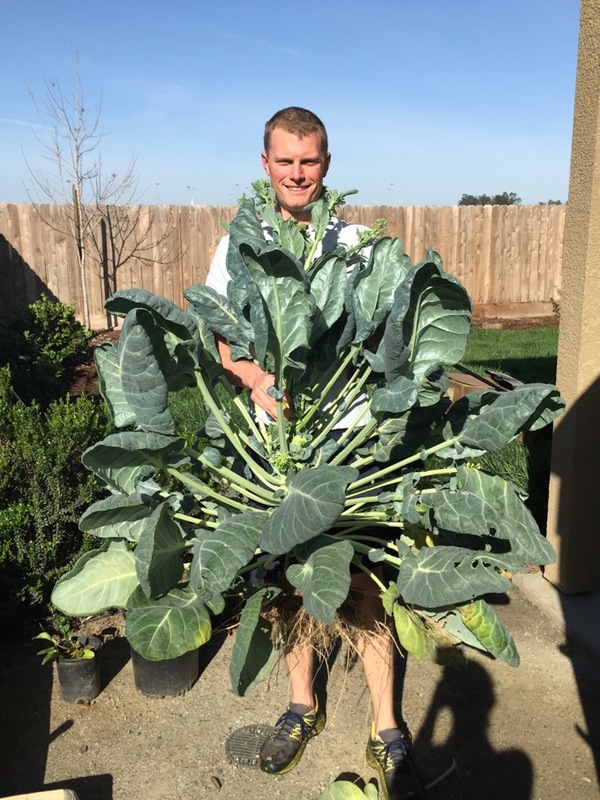 I couldn’t believe how big the Brussels got… wish they would have produced! Sorry about the brussels sprouts! I can’t believe how big those plants got! haha I love your garden, Jess — you’ve got some great stuff growing on! Thanks, Marcie! 🙂 It’s such a fun little hobby.